Laurie was one of the early adopters in the world of chair side dental assisting. Before she began working here, Laurie was a student at of OCC in their Dental Assisting program. She is both Certified nationally and Registered through the State of Michigan. These additional qualifications allow Laurie to perform more tasks than an average dental assistant. To maintain her credentials, Laurie takes at least 12 hours of continuing professional education each year. 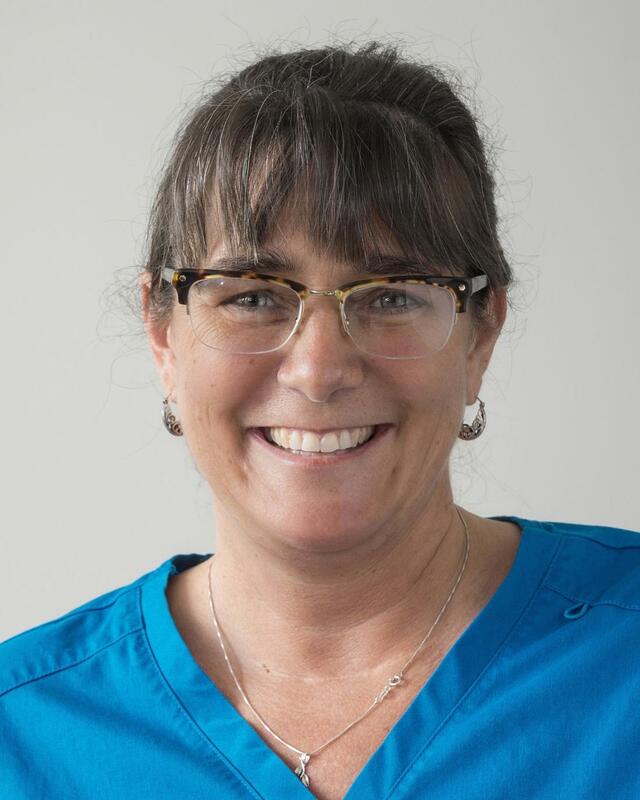 When asked what she likes best about our office, Laurie replied “I like my patients, the people I work with, that Dr Regiani keeps up to date with the most current procedures, and that I get to use my expanded duties of my state licensure. Laurie has 2 grown kids, Tyler and Calley, dogs named Ollie, Marlowe and a cat named Doofus.